A few years ago, I took my little home school on a field trip. We spent a day at Arlington National Cemetery. And the next day, we traveled to Gettysburg to stay with my daughter’s godmother. In preparation for the trip, I read a few Lee biographies. That has been an extraordinary component of our school—we could read about a person or a place, and then go check it out for ourselves. The Lees were extra special to us since my husband—and children—are related to them. During the long car ride to Virginia, I devoured the fascinating Lee stories. I was extremely moved by Ann’s invalidism and her son’s devotion. I kept interrupting whatever the kids were reading to relate another amazing tidbit. The accounts that I read were so old that the only word used to describe Ann was “invalid.” Isn’t that what it is when you give a wrong credit card number: in-valid. How can a person be invalid? I know the author was only using the language of his day, but still, are some people valid and others in-valid? It sounded dreadful. Another field trip to Virginia. More Lee stories in the car ride. But this time, they read like mystery stories to me. What is the mysterious illness that plagued these precious ladies? I weighed every word and examined every clue. I announce my theory to my captive audience in the car. 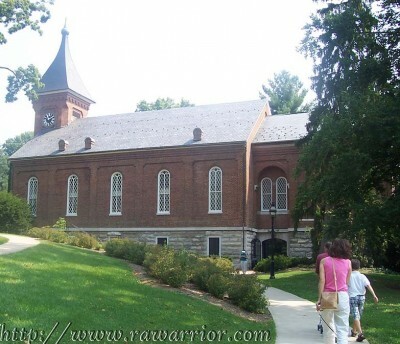 At Lexington, we toured Washington and Lee University, where the Lees served after the War and where they are buried. There are museums and memorials to them. I remember standing in the doorway to the chapel and listening to a guide tell the story of Mary Custis Lee. She said that Mary suffered from a painful disease. I could barely do it another moment, but I wanted to stand where I was—next to the guide. She said that Mary was disabled by Rheumatoid Arthritis. I sucked air and whispered “I knew it!” She pointed out the doorway across a yard. She showed us where they used to lift Mary down into a hot spring to occasionally relieve her pain. The tour guide had admitted what I knew had to be the truth. She was the first person I heard use that term with regard to Mary. It all made sense to me. I was just beginning treatment for my own RA. I knew what it was that I saw in the stories just as Robert knew when he saw Mary’s plight. Even the many pregnancies made sense now. My rheumatologist had explained to me that pregnancy was the only reprieve for women in former days. Rheumatoid Arthritis usually remits during pregnancy. So, many women would become pregnant eagerly. It makes it easier to understand how and why they continued to have more children with the added burden of the illness. Of course Ann and Mary Lee had much in common. They were the closest thing to royalty that Americans have. They were both educated and generous ladies. They had married soldiers. They had each enjoyed the devotion of Robert. They suffered immensely from Rheumatoid Arthritis without prednisone, Enbrel, or even aspirin. As I stood looking after the place where Mary would be humbly lowered into warm water to gain some temporary relief, I admired her. And think of Ann raising five children with no money and no husband and a handicapped daughter. Each was a Warrior. They never were defeated; they did not yield to fear or become dis-couraged. And they never became bitter. They agreed with Job that we must accept the adversity in life as well as the good that God sends. Part 1 to this series: A Summer Read for Rheumatoid Arthritis Warriors! I didn't know they thought RA went into remission when pregnant. Would you know what they called RA back then? We visited Washington and Lee University also. Thanks for sharing this story. I found it fascinating. Names for RA varied; arthritis, rheumatism, gout, or just "became invalid" for no apparant reason at all, or often just "crippled". It is a big clue when it happens to a young healthy person especially if she was a woman or if she just had a baby. Yes isn't W & L beautiful. All Virginia is beautiful! The picture is of us walking up to the chapel. Thanks for the beautiful story Kelly. Made me tear up. I find it interesting that woman becane pregnant to control the RA. The doctors told me that RA was the reason for my miscarraige. You teared up because you get it. Of course, ladies..this was men doctors at that time telling women that. Women just always had several children during that time, RA or not. Actually, the rheumatologist who explained this to me is a woman. Wonderful story!! I know the pain of RA with no meds and It is torture. These women are definately warriors!!!!! I knew as soon as I read this what they were dealing with. It’s the same RA, isn’t it. I hope we find meds that work for all & end the suffering!! I developed RA when my firstborn was 2, was medicated a few years, then had more kids. I had pregnancy-related remission myself. That’s how I was able to go 5 years unmedicated! As soon as I weaned my youngest, though, the RA came back with a vengeance. We joked about getting pregnant again to stay off meds & keep RA at bay, but 3’s enough for me! Thankfully, we do have meds that work for me. Kelly, I really enjoyed this 3-part series. I’m going to use it this fall when we talk study American history. It will be a great way to make history personal. Thanks, as always, for your great information! Hey, Kelly, I am curious about something else. When my mother was a little girl in the 1940s, she had Rheumatic Heart. She was briefly hospitalized and was a sickly child for a while, and she was very small for her age. She had no joint or swelling issues as an adult until a couple years before her passing, when she was in her 60s. I’ve asked docs, and they said no, but have you ever read of a connection between Rheumatic Heart & Rheumatoid Arthritis? Hey Jodi. Did she have Rheumatic fever that led to Rheumatic heart disease? As far as I’ve read they are not at all related to RA. They nicknamed RA after Rheumatic fever because of the symptoms that RA can present if RA is moderate to severe and untreated – fever, wasting away, redness or swelling around joints, stiffness & pain. It’s so strange that both parts of the name of RA are a misnomer. I don’t think she had Rheumatic fever. I just always wondered, because my sister & I both have autoimmune diseases (I have RA; she has Fibromyalgia + other issues). We do not have the same father, so it seemed likely the predisposition to the autoimmune stuff came from Mom’s side. I dunno! Wow, Kelly, I loved reading this story. I have always loved reading history especially about the south during the civil war times. I have also always admired Robert E. Lee just because he was just a great man but now even more. I does make me extremely sad that those poor women had to struggle without the meds that we have today. I had to watch my poor father deal with this awful disease without the proper meds-he could hardly walk. I am so grateful for the meds that we do have even though they don’t seem to work on everyone. How I pray that changes. Thanks again for sharing this story. Very interesting. My husband has read many Civil War books and quite a few books on Robert E Lee. I remember him mentioning this before. How exciting that your husbands family is actually related to him. Kelly, my husband, Rob told me over and over to read this – he was away and was able to read it and I didn’t get to because I was busy being mom all by myself! I’m so glad you sent him the link so I wouldn’t miss this! I’m guilty of tearing up, but this is such a great story of strength and dignity, determination and the American Spirit! Fighting this disease for more than half my life now makes me so tired and angry sometimes, but it really helps to know the legacy of Warriors that have gone before me! I can fight and I can raise really great children! I’m down, but don’t count me out! I would never count you out Janel. :heart: I was impressed that Rob asked me for the link – what a guy! I find it interesting that pregnancy provides some relief…could that be a key to remission or a cure?? I wonder if anyone is looking into that (scientifically). yes, I think they are. fascinating isn’t it? Oh wow how i cried at this. Thank you for opening my eyes. Yur always chocked full of valuable information and plenty of good stories too..
My maternal grandmother had rheumatic fever twice as a child and had a rheumatic heart she also had RA. My Mother had rheumatic fever also as a child,she does not have RA. My father had RA as do five out of my parents six children.My mother’s neighbor lived to be over 100 with RA. Her Mother raised 12 children. It sounds like she also had RA. The family talks of how the brothers would have to carry her everywhere. And she used a cane. The grandchildren remember her swollen joints and misshapened hands and feet. She raised her children mostly alone since her husband left her .My Mother remembers her aunts and mother talking about their aunts and how they had “rheumatism” My great aunt was 105 when she died and she also was afflicted as my great grandmother who died at 98.I find it amazing how these women carried on without the modern meds. My grandmother had her own business for years when women really didn’t.It always amazes me when I think back to how uncomplaining she was even when she was having difficulties and had pain from the RA. I use her and my father as examples and inspiration on how I handle my own. Thank you for sharing this very interesting story! Yes, I enjoyed this story. Robert E Lee must have been an incredibly loving man to both his mother and wife. Each of the women in his life were equally loving and courageous. What are the odds of having a mother and wife with RA? Very interesting indeed.